Chef Anne Williams is a modest person, but she can’t contain her excitement when talking about all the thank you notes she’s received from students over the years. 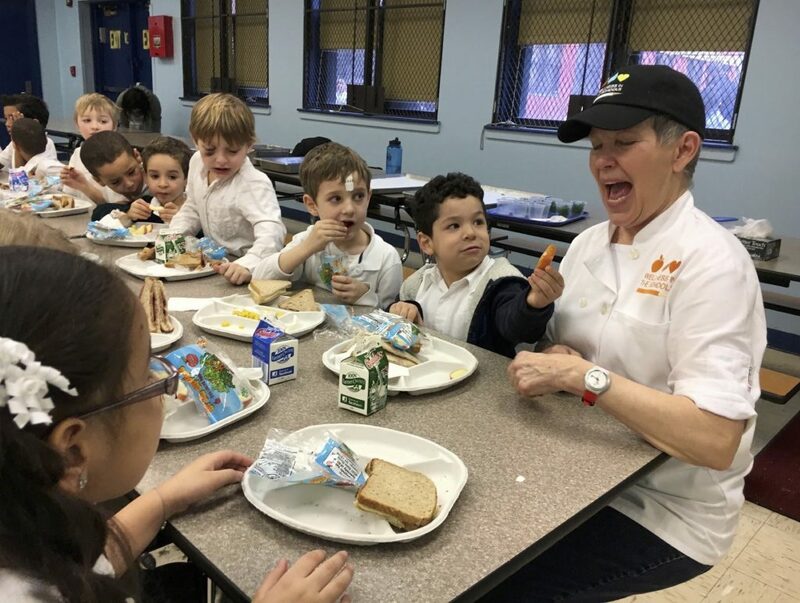 Chef Anne will retire at the conclusion of the school year, but her work with Wellness in the Schools over the last decade has been instrumental to our growth and success. During her first year with WITS, Anne pioneered the implementation of WITS BITS, one of our core pieces of programming. The 20-minute classroom lessons have become a favorite among students. In these lessons, WITS Chefs use hands-on interactive demonstrations to teach basic nutrition concepts, such as the effects of eating too much sugar and fat. The idea came to Anne when she faced obstacles marketing healthy lunch items to students at her first school. Anne realized she was spending all of her time in the kitchen and not enough time engaging students directly. 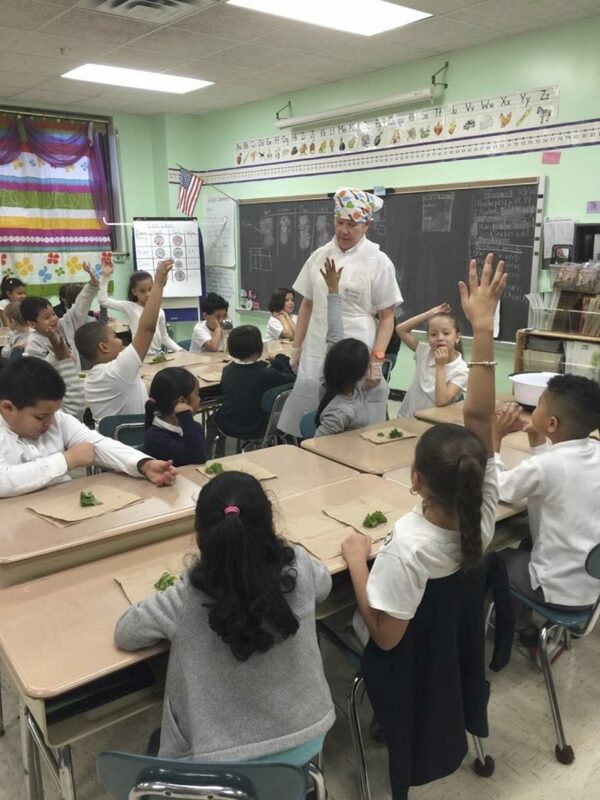 To spark a connection with the students, Anne went into classrooms to give previews of lunch items, discuss salad bars, and make salad dressings. These were, unofficially, the first WITS BITS. As Anne developed relationships with students, she witnessed their interest in food, as well as her own popularity, surge. Anne has remained innovative through her final days at Wellness in the Schools. She has continued to expand the WITS BITS program, using, for example, a spiralizer in some lessons to the students’ delight. This past school year, she began adding fresh fruit to water to create Power Water, an idea she credits to Program Manager Errol Jones and WITS Chef Kisha Figueroa, and serving it during recess and WITS Play Days. Amazingly, Anne did not even begin culinary school until she was 50 years old. After growing tired of her job in the apparel industry, she found her true calling. “The only thing I had a passion for and could get paid for was food,” Anne said. After graduating from the French Culinary Institute (now the International Culinary Center), Anne worked several jobs in the food industry over the next 10 years — line cook, catering director, crisis management chef, and more. One day, she saw a job posting for Wellness in the Schools. The idea of working in schools and cooking healthy food for children resonated with her. She sent in her resume, and the rest is history.